The Hawala scandal or "the scam" was all about Indian political scandal which involved money reportedly got by some powerful political figures and bureaucrats, between February 1988 and April 1991 through Hawala agents namely, 4 Jain brothers, the main person involved being one Surindra Kumar Jain. The money involved was about US$18 million dollar (Indian Rs.650 million) which was a major bribery scandal and brought into focus some of the country's leading politicians. The Hawala scandal also said without proof that the payments being directed towards Hizbul Mujahideen militants in Kashmir. The political figures who were accused in the Hawala scam were L. K. Advani, V. C. Shukla, P. Shiv Shankar, Sharad Yadav, Balram Jakhar, and Madan Lal Khurana. Being the biggest democracy of the world, the Indian political atmosphere was totally poisoned where the then three major political parties of the country including the then ruling Congress Party, whose seven ministers had to resign because of the overlap.The tribunal that followed against the charge sheet on the political leaders was relatively triggered off by a public interest petition (Vineet Narain) but still even after a long detailed investigation the accused were not punished and the court cases of the Hawala scandal eventually all deflated without verdicts. Many people who were given charge sheets were found acquitted in the year 1997 and 1998 because all the records collected on basis of the Hawala scam was assessed by the jury to be insufficient as primary proof or the main evidence. However the failure of the prosecution by the Central Bureau of Investigation was extensively condemned far and wide. With the closing of Vineet Narain situation, the Superior Court instructed that the Central Vigilance Commission should have given the regulatory part over CBI. In fact there are many such acts where number of political heads was drawn in and this is one such similar thing and the government bodies should have had strict policies in the Hawala Scandal. As a result of the Hawala scam seven ministers of the then ruling party Congress and also the President of the opposition, the Bharatiya Janata Party (BJP) L.K. Advani had to find their way out or resign from their membership of the Lok Sabha Assembly. S.R. Bomai the president of Janta Dal has also had a role in the scam and so he has to resign his posting and was replaced by Laloo Prasad Yadav, the Chief Minister of Bihar. 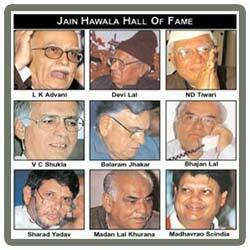 The jury ordered for the arrest of 11 politicians who were charged for taking bribe in the Hawala scam. The Hawala scam had totally spoilt the atmosphere of the Indian politics. Surendra Kumar Jain was always keen on making money and so along with his brothers he had to lubricate the hands of Ministers and other top people of the Government organization to get things done. The oppositiion party charged on the then Prime Minister saying that he had received a bribe of Rs.3, 000,000. Later during the investigation of the scam it is said that the Jain brothers used to carry these Hawala money by themselves to big shots or at times they used to transfer it to the concerned person through their trusted employees. Even some times the money was transferred to accounts in foreign banks. All the names of the recipients of the Hawala money were noted in diary and a list was maintained by the Jain brothers. Amir Bhai an Indian who ran currency exchange counters in various countries played a major role in being paid with a huge sum as bribe and accepted money for the Indian politicians and bureaucrats. Amir Bhai had a very bad background where he is alleged to serve Kashmiri activists and those who had exploded bombs in Bombay in 1991. It was in March 1991 as a result of two detained Kashmiri militants, there was a raid made by the FIA people in top political big shot houses. Surindra Kumar Jain was arrested based on the complaint made by Vineet Narayan and it was he who revealed the whole story and a formal report of nearly 120 pages was prepared. Vineet Narayan also filed a complaint against the Prime Minister for influencing the enquiry. So the court ordered the CBI not reveal any information regarding the investigations to any higher authorites or political personalities. The court has to be appreciated for this for they passed a strict order to the CBI though they were directly under the control of the Government. Mr. Narsimha Rao, the then Prime Minister of India stubbornly refused to compromise that he or any of his colleagues had ever interfered in the Hawala case. He held that all those who were supposed to be incriminating in the case must be deemed innocent, unless proved otherwise. Somnath Chatterjee who along with his party noted for not having lost its luster and in spite of knowing that they can make the Government resign in any way but still tabled the issue in the Rajya Sabha thinking that this would at least carry some moral weight and tarnish the reputable high status of the ruling party. Another eminent journalist Kuldeep Nayar also brought into focus that there was a link between the Hawala scandal and the Kashmir issues which gained impetus in 1991. The Hawala scam is said to be the biggest in the history of Independent India which nearly involved 115 top politicians and bureaucrats of the country. The Indian polity was put on to a constant jerk because of the Hawala scam and Vineet Narayan was tirelessly fighting against the Hawala crusade to bring into light the illegal activities of the top notches. The post Hawala period witnessed nearly three general elections in four years and 5 times Prime Ministers have taken oath. The Government was in a literal mess run by many parties instead of one strong genuine party. No political party had the way to get into deep and honest investigation of the Hawala scam, in spite of serious outcome of the Jain Hawala scam. It was through the Kalchakra video news cassette that Vineet Narayan exposed the Jain Hawala Scam on August 1993 and through this he was able to successfully prove all the top militants of Kashmir and senior Indian politicians who were involved in the scam by being paid with excessive amount of currency. The CBI was still with the release of the video cassette and shocked by this the then ruling party of the Indian Government banned the video cassette from the censor board. But still Vineet Narayan didn't let this go, he further went to the extent of even appealing to the Film Certification Appellate Tribunal. The ban on the Kalchakra video cassette was cleared out by the Chairman of the Tribunal, Hon'ble Justice B. Lentin who in his judgment very clearly stated that the cassette reveals the fact that several politicians, ministers and top notches have not emerged exactly like chevalier with all shining white armor; it is what they have become in due course. Hon'ble Justice B. Lentin bluntly defined that the cassette unfolded the theory of democracy where the investigative journalism had the freedom to investigate so that people can have what is their right in a democracy. 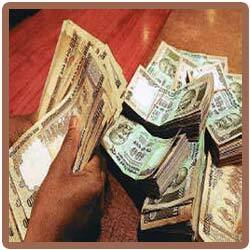 This web page explains the scams that occurred in India. The information are collected from the media reports. www.indianmirror.com or it owners do not take any responsibility for the authenticity of the contents. Since some cases are in the court of law, we do not endorse any cases or do not conclude on the same. If you need any changes to be done on the above information, kindly contact us with valid proof. However sincere attempt is being made to create awareness in the society against this evil and to prepare the younger generation for a corruption free India.